Telecom industry is the ever booming industry in the present world. There are lots of openings in top Telecom Companies that provide huge salaries for experienced and trained Telecom Professionals. 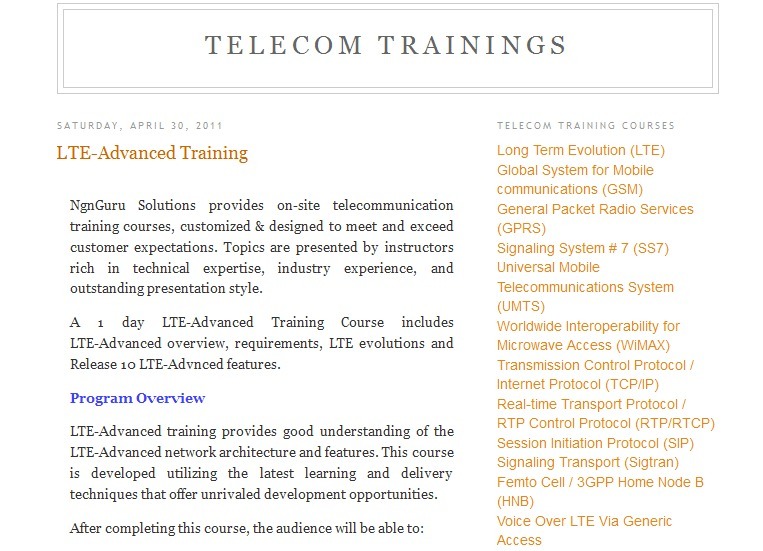 There are many top Telecom Tutorial Websites in Web that provide training for GSM, GPRS, UMTS and LTE. There are many Top Telecom Training Institutes that provide you an excellent career launch. However if you want to find some top websites online, given below are few Top Telecom sites that are handpicked from a lot of Telecom Tutorial Websites in Web. Get some good training to get telecom jobs. Event Helix is my number one choice as I have used this website for getting trained and get into one of the top Telecom companies in the world. 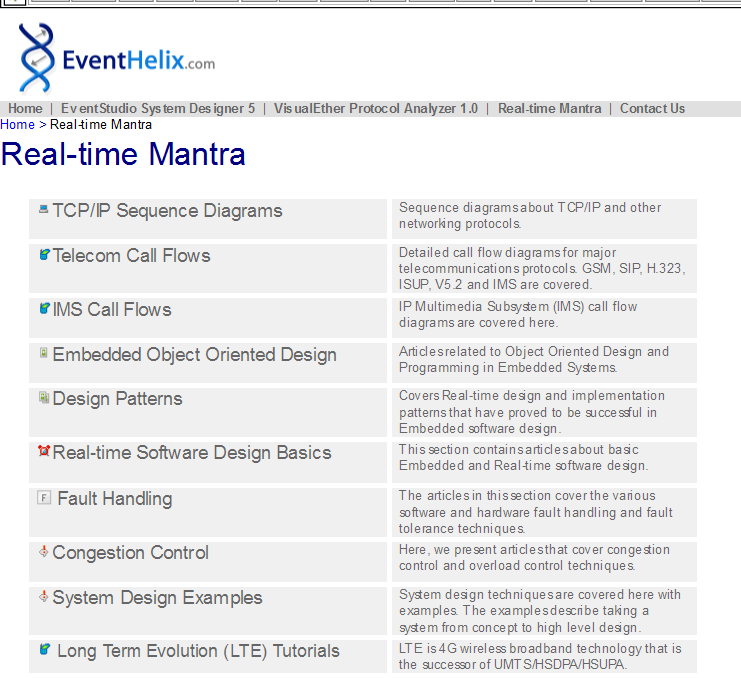 Event Helix Real Time Mantra contains all information about GSM, GPRS call flows. Recently they have added LTE call flows also which is very useful for telecom professionals. This Website is enough if you want to have knowledge of various telecom technologies. This Blog which is recently development has some good Video Telecom presentations for GSM, GPRS, Wimax Technologies. 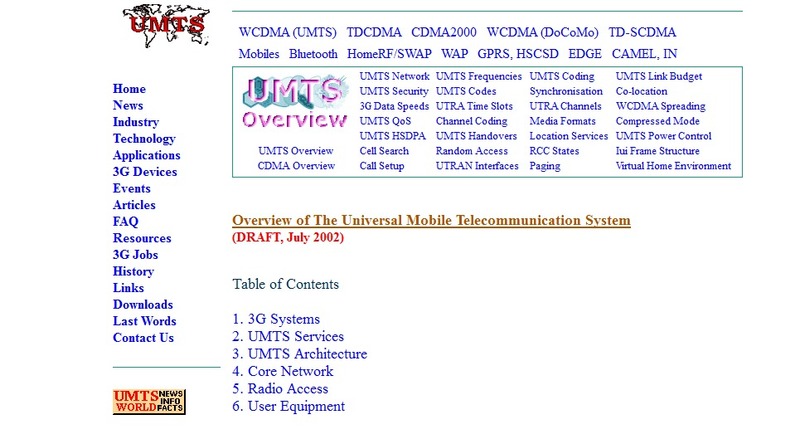 Get complete information about 3G UMTS from this website. Another top Telecom Tutorial website in Web. InfosysSec provides complete information related to top Telecommunication tutorials in Web. 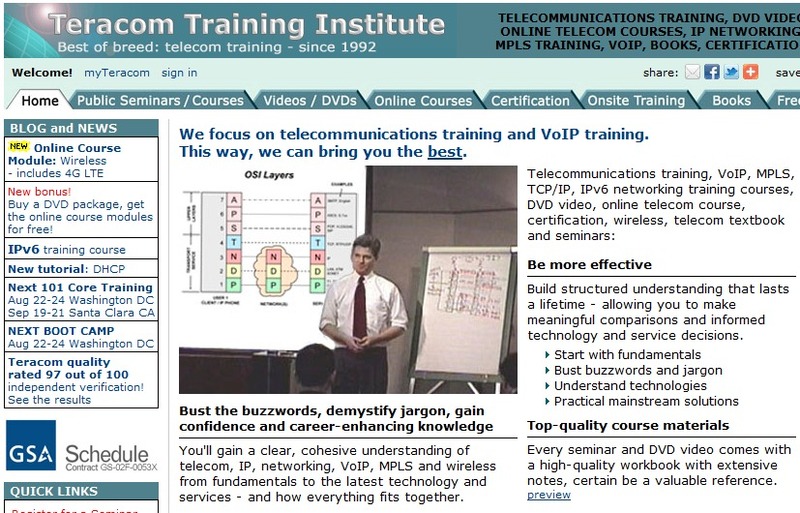 This website contains free Telecom tutorial presentations for free download.